Material Automation | Columbus Engineering Inc. 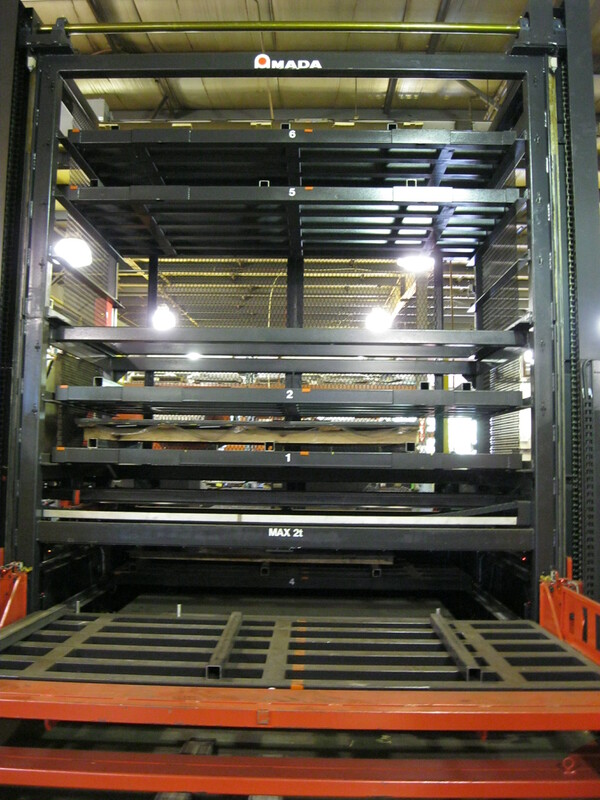 Automation has been a long tradition at Columbus Engineering Inc. Ever since there has been automation available, we have jumped at the opportunity to incorporate it in our everyday production. 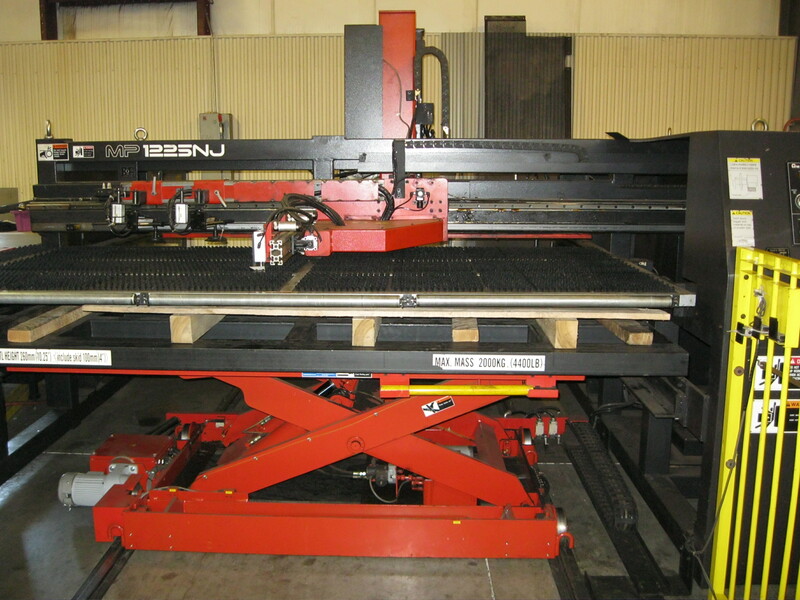 In 1984, we added our first piece of automation and immediately saw the benefits of this type of equipment. Automation does not limit you to the one shift you work but opens you to hours of unmanned operation. 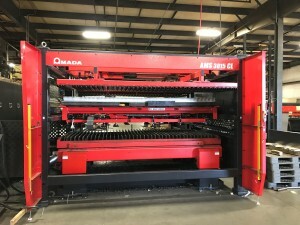 Automation benefits our customers as much as it benefits us. With the availability of lights out operation, we have been able to maintain low operation costs, increase green light time, and maintain high quality. When you pair automation with our remote monitoring capabilities, you open the door for an additional two shifts per night to be added. 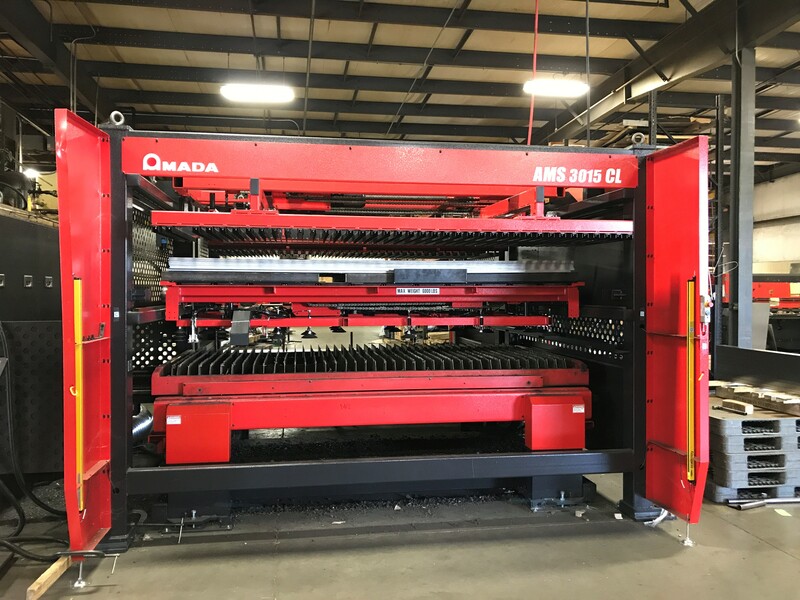 Automated machines like the Amada ASR6510-M give Columbus Engineering Inc. the ability to run jobs “lights out” when needed. 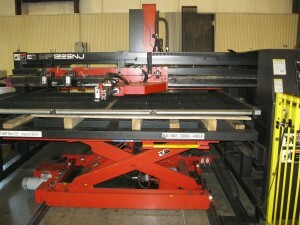 Automated loader fitted to an EM2510NT punch press.